When you hear ‘coworking’, what do you think? Hipster, rolled-up trousers, beanies, artisan coffee and startups? This association is only reinforced when we talk about coworking spaces in East London. Then, it all gets very ‘Shoreditch’. But don’t be mistaken! Recently, more and more companies, even multinational conglomerates, are looking for serviced offices as an alternative to conventional offices. Small and medium businesses appreciate the flexibility it gives. On the other hand, bigger corporations like a no-hassle office option it provides, especially in the time of rapid expansion. ‘Big Al’, as referred to by tenants, is a modern warehouse conversion located in the heart of Old Street. 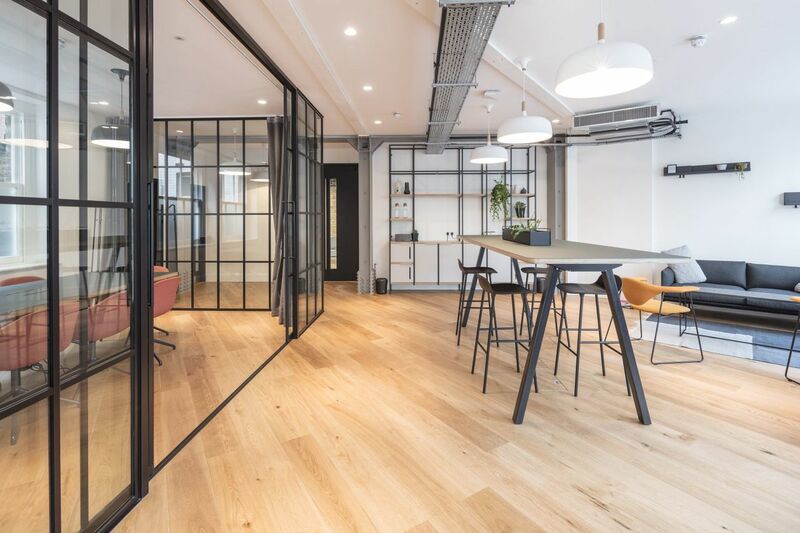 This co-woking/serviced office space features a bar amongst the private offices, co-working spaces (shared working spaces), meeting, event and conferencing spaces as well as a fitness studio, loads of bike storage and a screening room. It’s a perfect choice for your first office. 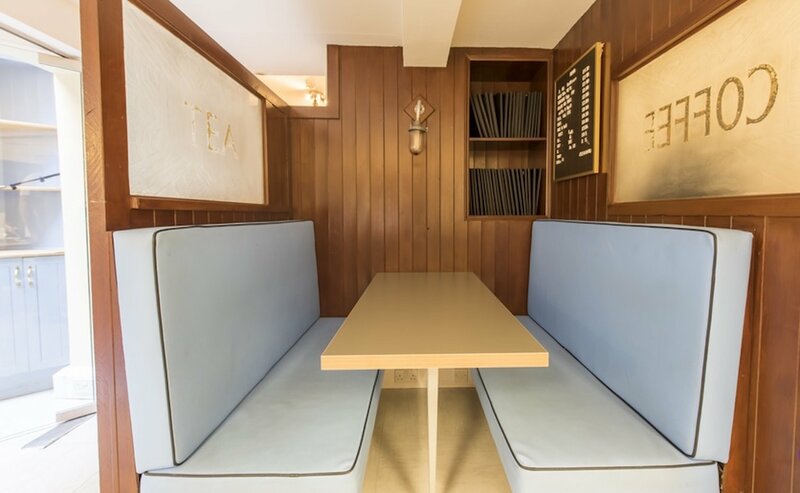 Dreaming of an office that offers privacy but has a sociable atmosphere? Corsham Street might be the right place for your business. 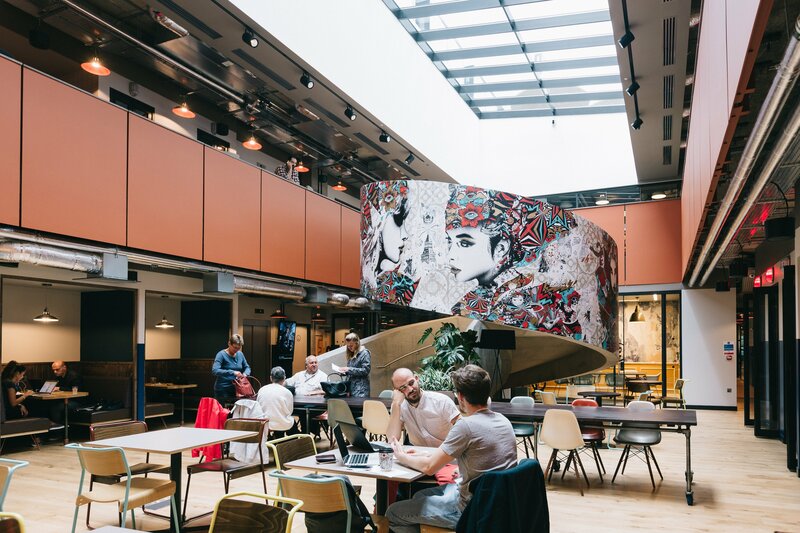 With a shared coworking space and private offices to hire, this space has plenty to offer to both freelancers as well as SMEs. Plus, you will have access to weekly events hosted in the event space of the building. There is also a community manager on hand to help you with anything you might need. Yay! 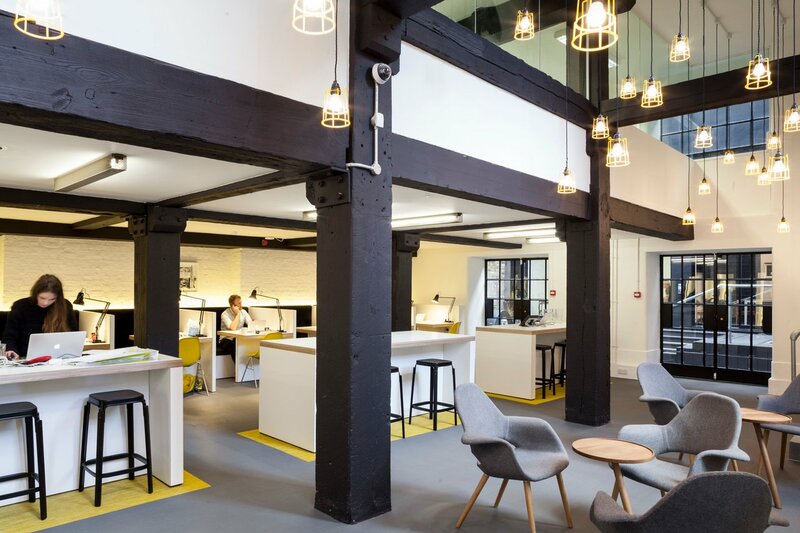 Designed by architects Buckley Gray Yeoman, this stunning open plan office space is a real gem on the East London map of shared office spaces. The building encompasses 4 floors, 3 meeting rooms, 1 boardroom, 1 roof garden, 5 terraces and a co-working space. 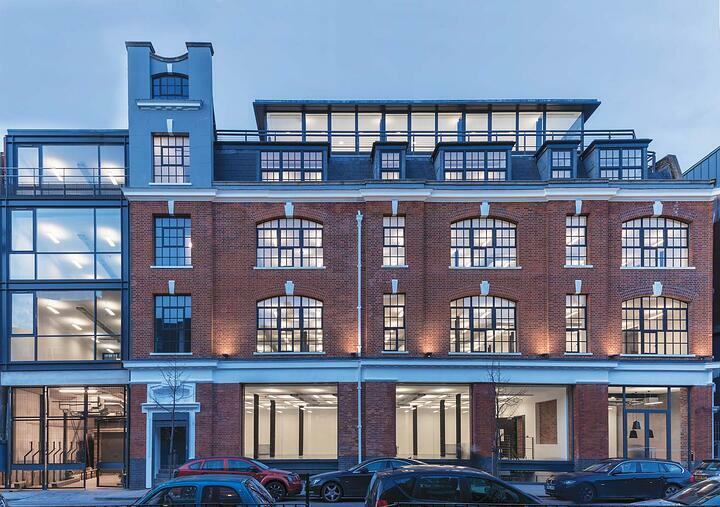 It was originally built for furniture manufacturing and has the iconic high ceilings and large windows of Shoreditch’s roaring 18 Century furniture and printing trade. Are you a fashion startup looking for an office to share with like-minded people? If so, we’ve got good news for you! 51 - 53 Rivington Street has five desks to rent in the office shared with a fashion PR company with some major clients. There is also a showroom on the ground floor that can be used as an impressive meeting space. What’s not to like about this fashion haven? Located a stone’s throw from the hustle and bustle of Liverpool Street, Appold Studios is a converted 19th-century furniture warehouse. The Studios offer an open plan and fully customisable office, complete with furniture, access to a shared lounge and rooftop terrace. 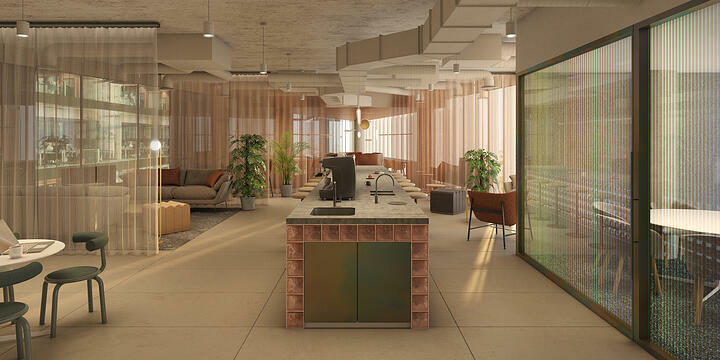 And as part of Storey, you’ll also have access to an ever-growing network of spaces to work, meet and host events in central London and the rest of the city. Win-win! 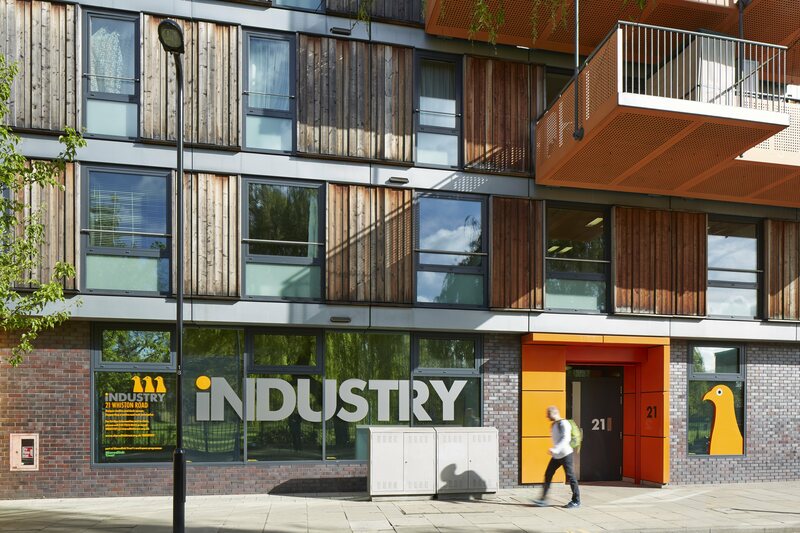 With original, industrial features and bright, airy floor plates, Commercial Road is perfectly suited to fast growing technology companies. Plus, you’ll benefit from access to meeting rooms, kitchen, breakout space, games space and phone booths on each floor. Located within minutes from Aldgate and Aldgate East, the office space is extremely well connected with Central and East London. 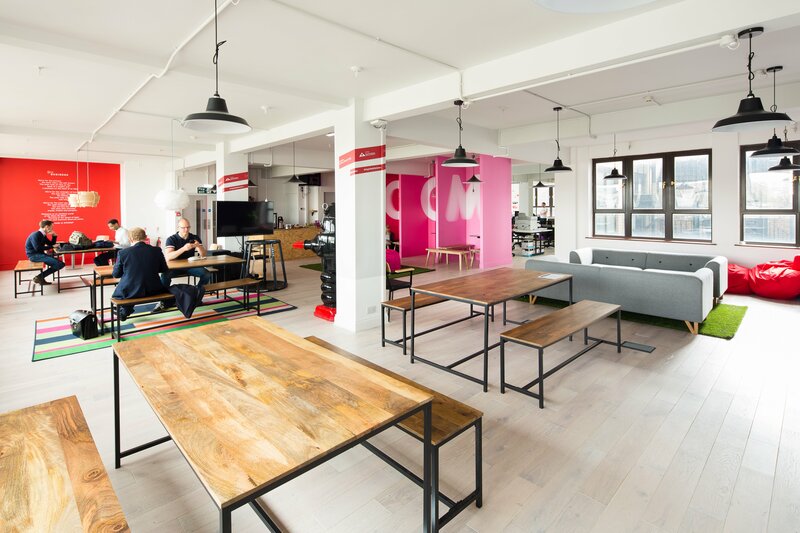 Some of the fastest growing companies like Uber and General Assembly call Aldgate home. This truly sustainable building offers fantastic shared workspaces, self-contained studios, a large membership lounge and meeting spaces. With self-contained studios, you will get exclusive access to a private meeting room with presentation facilities. An amazing, high-spec kitchen to make coffees, fast Wi-Fi and plug-in internet access. Plus, the office offers shower facilities for all tenants.